This is a cool concept for all you christians out there. 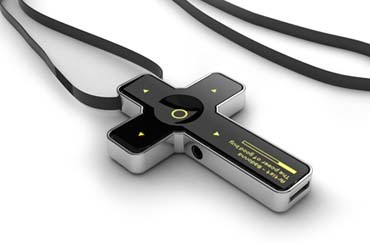 Saint B is a cross shaped MP3-player with an OLED-display and a chrome-plated steel body frame. how do you find the saint b cross mp3 player at , help ?????? can some one tell me where i can purchase a saint b mp3 cross? who sell em?